Now that the site has been de-hacked, this is as good a time as any to also tell you about the changes to this site. 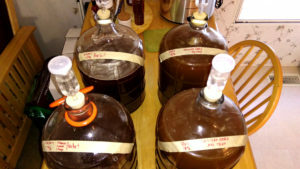 My longtime readers will also know that my meadmaking production — and therefore also the posts to this site — have slowed way down in the past couple of years. There are a variety of reasons for this, some of them personal, others not…. but the bottom line is that I have decided that once my current batches in production have been bottled, I am going to take an extended break from meadmaking. I don’t want to commit to retiring, but for now activity on this site will slow down even more. I am more focused on audio engineering these days, and it occupies more and more of my time and attention. I find myself not complaining about this. While I still love mead and hold it in extremely high regard, it’s time for me to move on to a new chapter in my life. 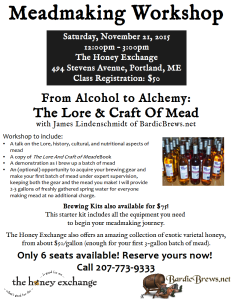 As a result, there are no longer products available for purchase here, namely my meadmaking eBook, The Lore And Craft Of Mead. If anyone out there is reading this and wants a copy, contact me and we will work something out. Those of you who would like to keep up with my activities can do so most effectively at www.CraftedRecordings.com and www.JamesLindenschmidt.com. It’s been a hell of a run; I’ve learned so much about mead, honey, bees, alcohol, herbalism, ecosystem health, and community, all as a direct result of my meadmaking practice. I am so grateful! I still hope to see you around a fireside soon! The traditionals were made with my standard chaga sumac tea. 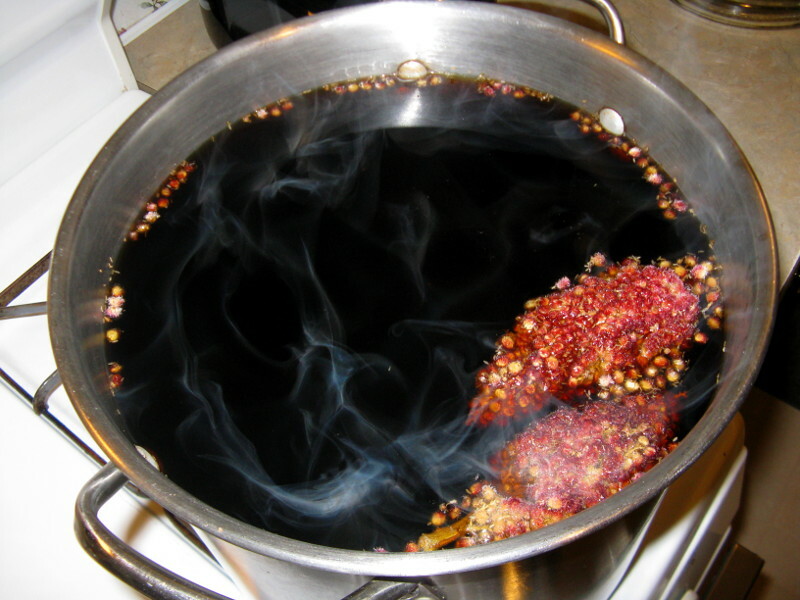 I was low on sumac after that, so for the bochet I made a chaga decoction as usual, then steeped sumac and hibiscus in it. Both batches were mixed up to about an 18% initial alcohol potential. But because I ran out of honey at the end, the 2 bochet batches are a bit smaller than usual. They came out nice! The 2 on the left are the bochets, with the darker color. This will be a good harvest! The Luna Bochet and Mani Trad are basically the exact same recipe, just that the bochet was made with caramelized honey, and also had a vanilla bean tossed in during secondary fermentation. And wow! What a flavor. The contrast between the two is intense, and both are utterly delightful. 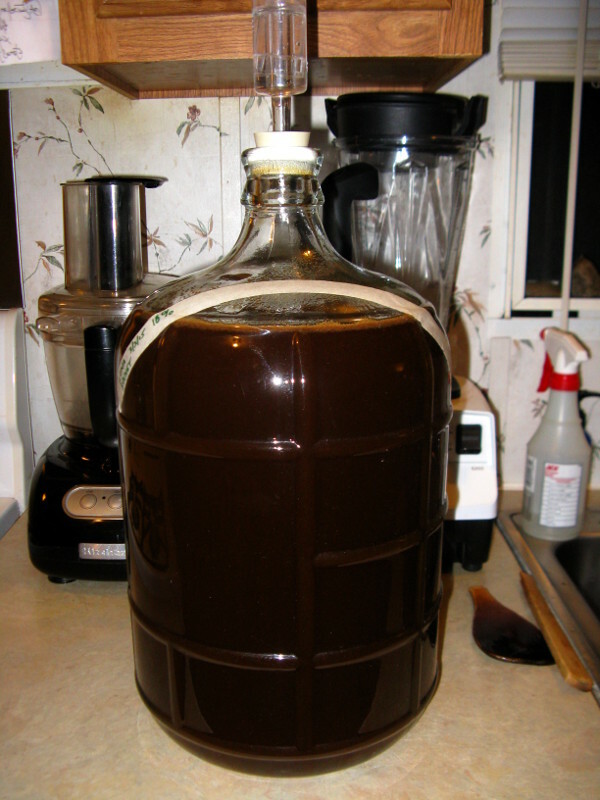 I can definitely see sharing the bochet around a Yule fireside during the winter…. it tastes almost like whiskey, but obviously without the kick of distilled alcohol. 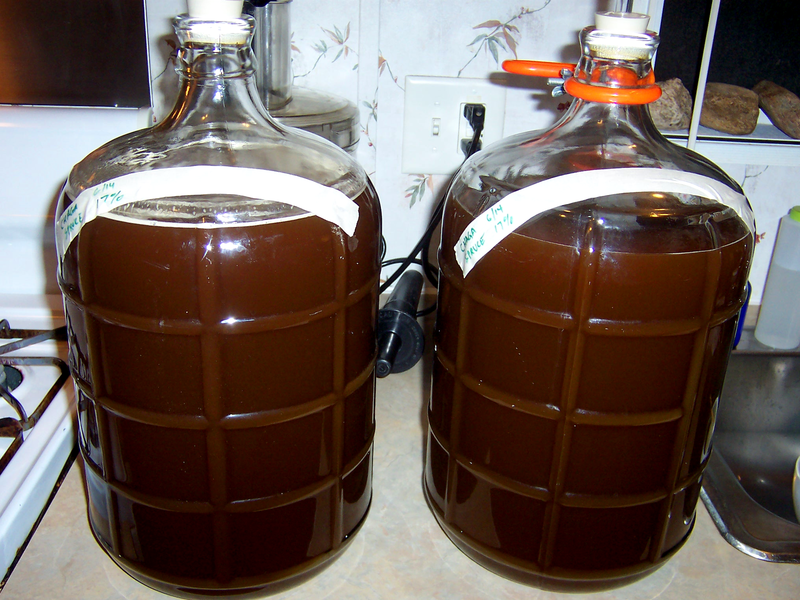 And I’ve had more people tell me my Chaga Spruce Mead is the best mead they’ve ever had than anything else I’ve done. All three of these batches are stellar. I’m very happy to have them bottled, ready to share at a fireside near you. I haven’t made an Elderberry Mead in a long time. They are enigmatic to me; I love them, and use elderberries medicinally all the time, but their flavor is really bitter. The last time I worked with elderberries was to make an Elderberry Rosehip Mead which turned out quite nicely. And, five years ago I made the Elder Mead, which is powerful and complex (it also had Reishi in it which has a hugely bitter flavor).Â Last fall, someone near me was giving some away; they had a huge bush and more yield than they knew what to do with. So we picked up a few gallons and stored them in the freezer, where they sat for several months until I was finally ready to make them into a mead. Thawed Elderberries. 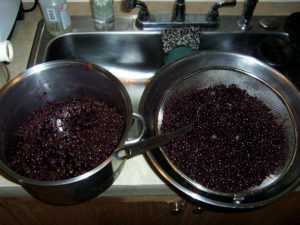 Freezing them helps break apart the skins and release the juice. 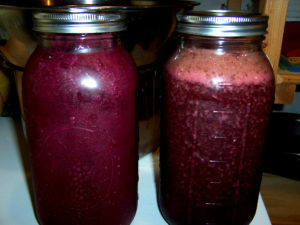 Two half-gallon jars filled with fresh elderberry juice. It’s been nearly a year since I’ve made mead, so needless to say I’m excited to be back at it. 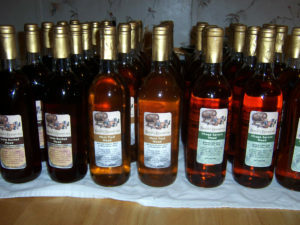 I look forward to drinking this mead around a fire this winter! 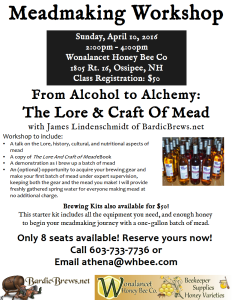 I’m pleased to announce that my next meadmaking workshop will be in Ossipee, New Hampshire at the Wonalancet Honey Bee Company. 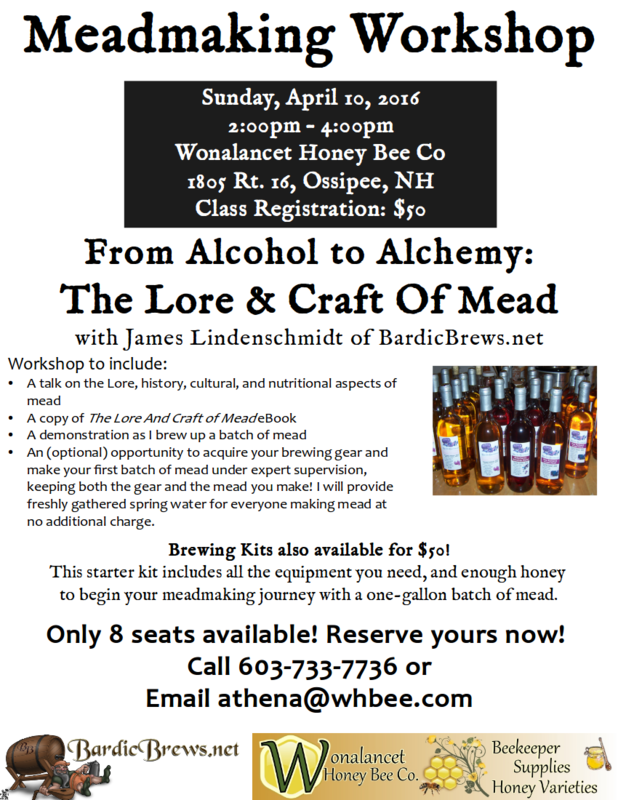 The workshop is already at least half full, so call today to reserve your spot. Space is limited! 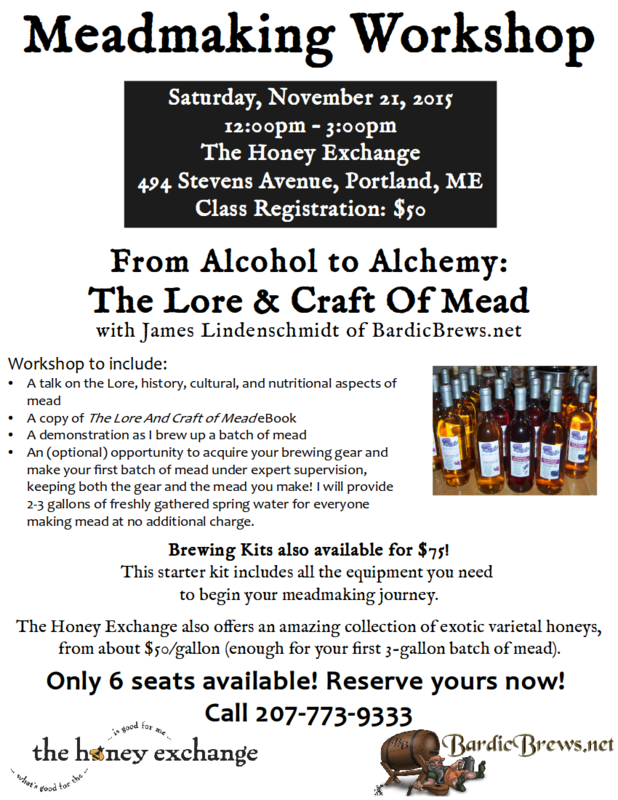 On Saturday, November 21, 2015 from 12:00-3:00pm, I will be teaching a â€œFrom Alcohol to Alchemy â€“ the Lore and Craft of Meadâ€ workshop. Class registration is $50. Complete meadmaking kits are on sale for $75, and a variety of bulk honey is available starting at $50 per gallon (enough to start your first 3 gallon batch of mead. 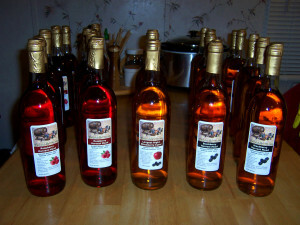 10 bottles each of Raspberry and Blackberry Harvest, and 4 extra bottles of Longest Night Blackberry Cyser. I had my first bottling session in a while today. That’s kind of what happens when your production rates slow down as they have the past couple of years. Only 24 bottles, but boy are they purty. 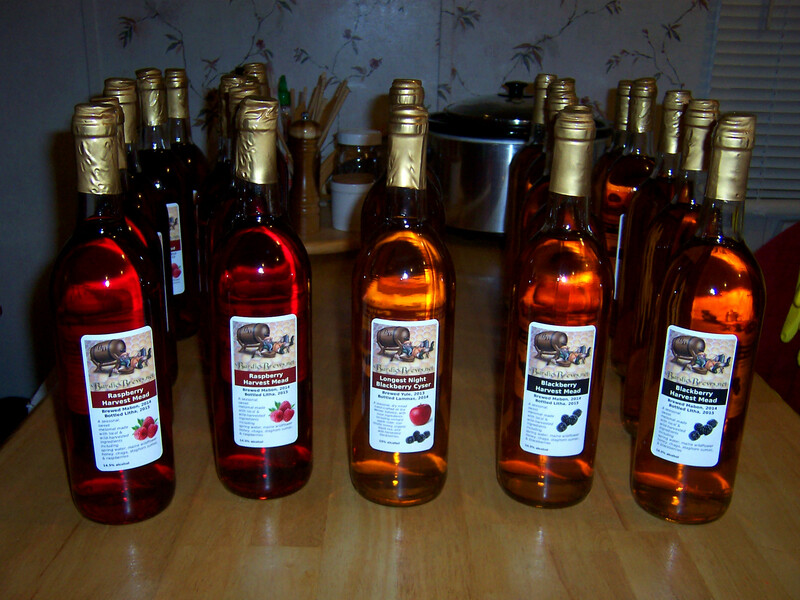 I got 10 bottles each of Blackberry & Raspberry Harvest, and another 4 bottles of Longest Night Blackberry Cyser. Yum. Used up the last of my clear bottle stash also. In addition, I racked the Mani Trad and Luna Bochet. Wow, there is a taste difference. The Bochet is …. different. Better? I’m not sure. Both are really good though. It’s been a few years since I’ve made spruce mead, and it’s one of the more popular brews I do. I knew I’d do another batch this year, and when I tasted the Pine Barren honey from Fruitwood Orchard in New Jersey at The Honey Exchange, I knew I’d found the honey I’d use for the next Spruce Mead. 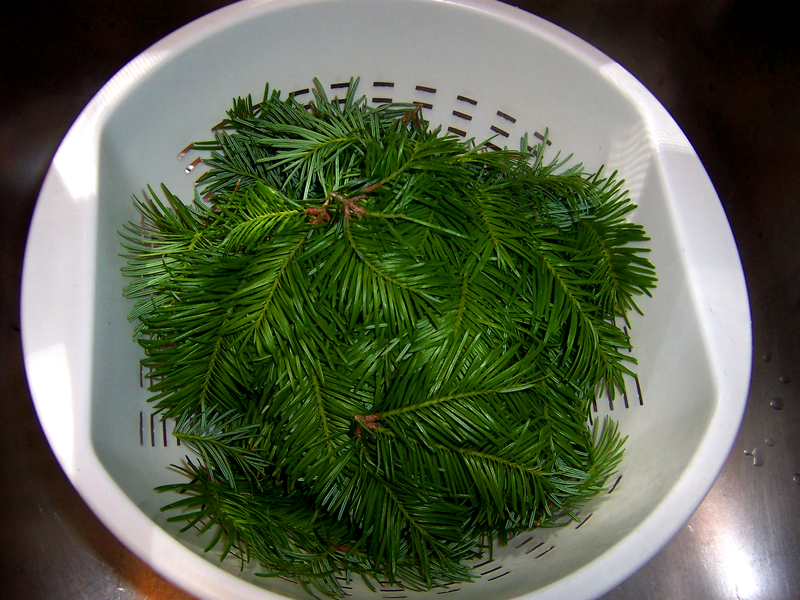 Freshly harvested spruce tips, harvested a bit later this year so they are more opened up. Spruce tips in with the chaga decoction for the last few minutes. 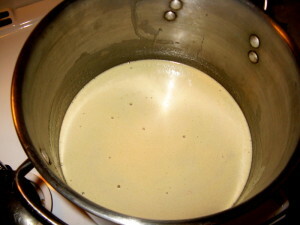 After the tips sat in the tea for about 30 minutes I strained it and let the tea cool down overnight. Two kinds of honey: New Jersey Pine Barren mixed with Maine Wildflower. The honey all dissolved in the tea, to a 17% initial alcohol potential. 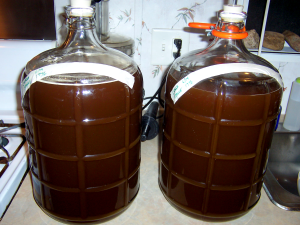 6 gallons of Spruce Mead ready for fermentation. 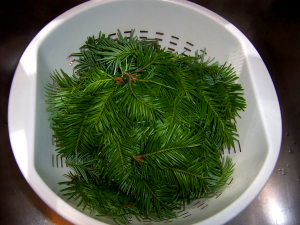 I expect this batch of spruce to be as good as previous ones. 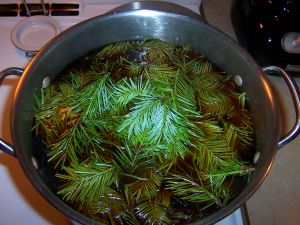 It’s not my favorite tasting one (probably the traditionals or maybe some berries are), but this might be the most potent brew I do, since so much of the flavor comes right out of my immediate ecosystem — the spruce trees in my yard. After finishing up the Luna Bochet yesterday, I still had some honey (not caramelized) and some chaga/sumac tea left over, so I thought I’d make up a quick traditional mead. Since today is the full moon, I thought I would name this batch after Mani, who is the Norse personification of the Moon. I have been fascinated with Mani for some time, since I started studying the old Norse stories, mostly because Mani is male. 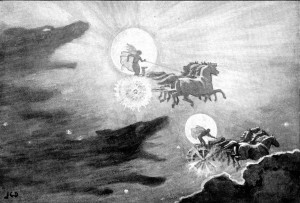 Most other traditions depict the moon as female, which has become so familiar to me over the years that the idea of a male moon seemed strange. Interestingly, Mani’s sister, Sol, is the personification of the Sun, again going against what I had gotten used to in most other traditions with a male sun and a female moon. 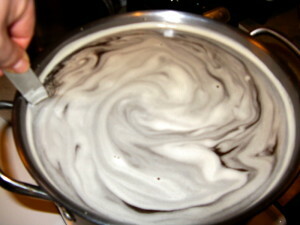 Maine Wildflower honey liquifying under gentle heat. Honey, chaga/sumac tea, and water, mixed to a 17.5% initial alcohol potential. As I stirred, I could see symbols and shapes coalescing and dissolving in the thin layer of foam on top of the must. These swirls look almost like animations, and there are stories hidden within them. 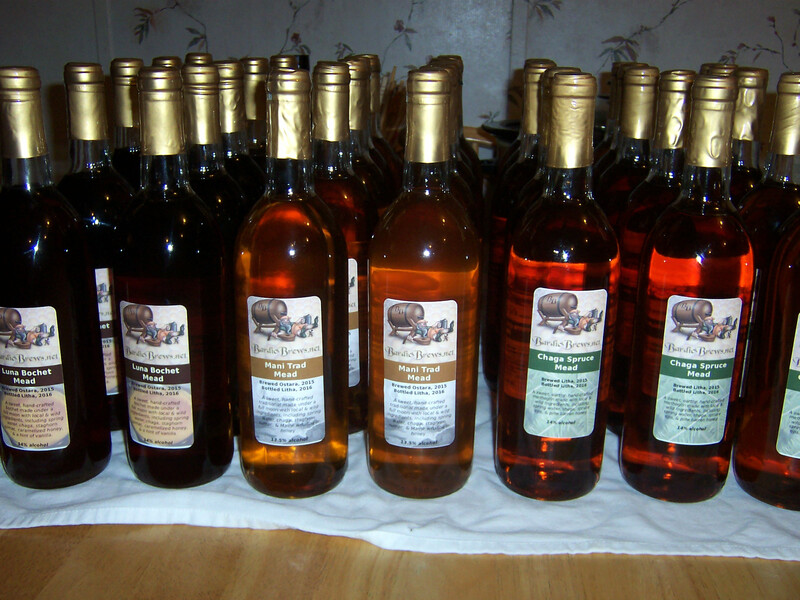 MÃ¡ni Trad Mead. This should be another great one! Hail Mani on this night of the full moon! 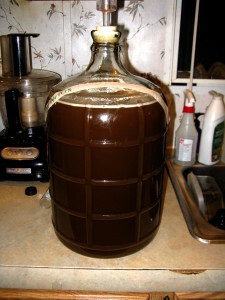 For several years now, I’ve had my eye on doing a bochet, which is a mead made with cooked, caramelized honey. 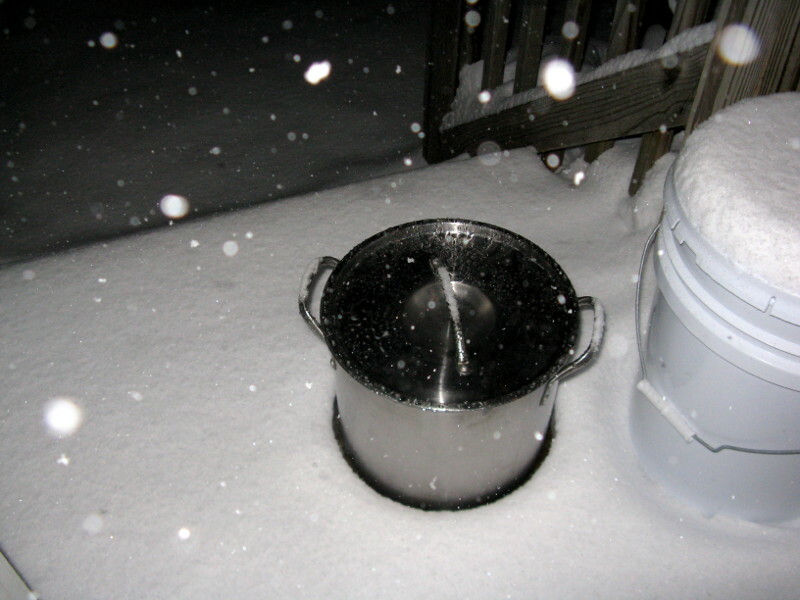 Note that this contradicts my meadmaking methodology for the most part — I am not an advocate of heating honey. There are too many wonderful things in honey that I don’t want to kill with heat, but the allure of the rich tones of flavor with a bochet was too much temptation. I had to try it. 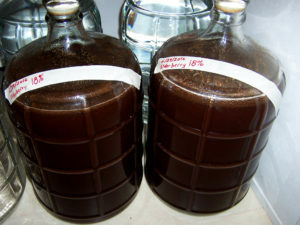 Chaga & Staghorn Sumac decoction in Spring Water. When the decoction was finished I strained it into an empty carboy, and cleaned out the stockpot for the process of cooking the honey. This is a tricky process. 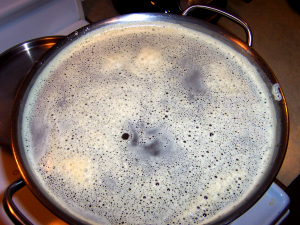 Honey, when it cooks, expands to nearly 3x its volume, so I had to make sure my 3 gallon stockpot had less than a gallon of honey inside. 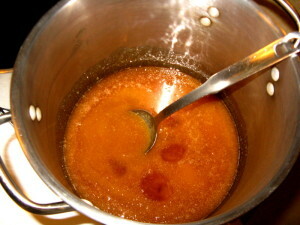 It is also essential to stir the honey constantly so it doesn’t burn. 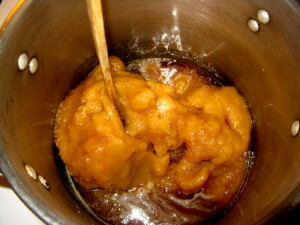 It’s a long process; I decided to cook the honey for about an hour. A small ordeal offering was in the works, during the cooking process a small amount of boiling honey splashed onto my hand and stuck to the skin, leaving a blister. Ah well; a gift for a gift. 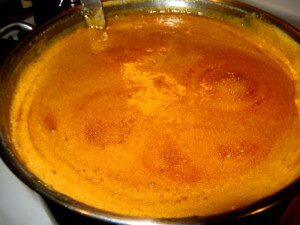 Honey melting in a 3 gallon stockpot. 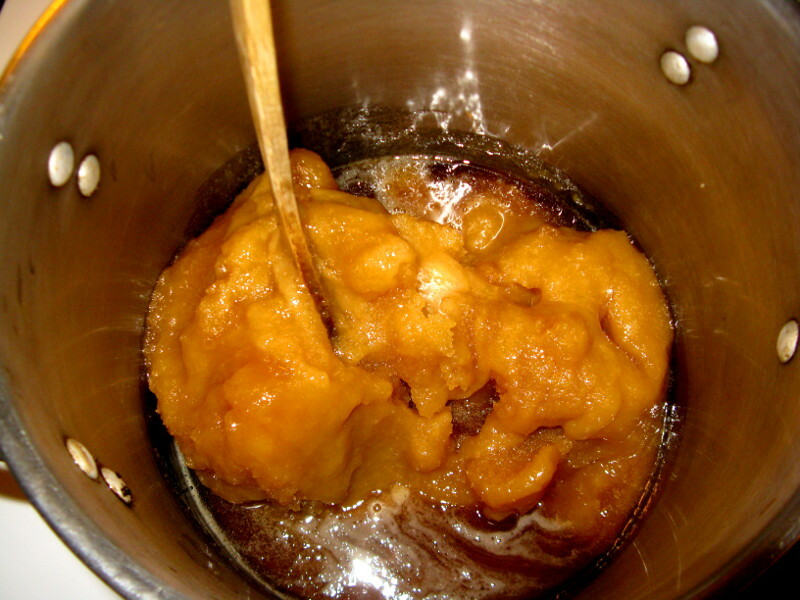 For bochet making, be sure the pot is less than 1/3 full to allow for the honey expansion. Melted honey. Just keep stirring, and watch it expand, like magic, to 3x its original size! 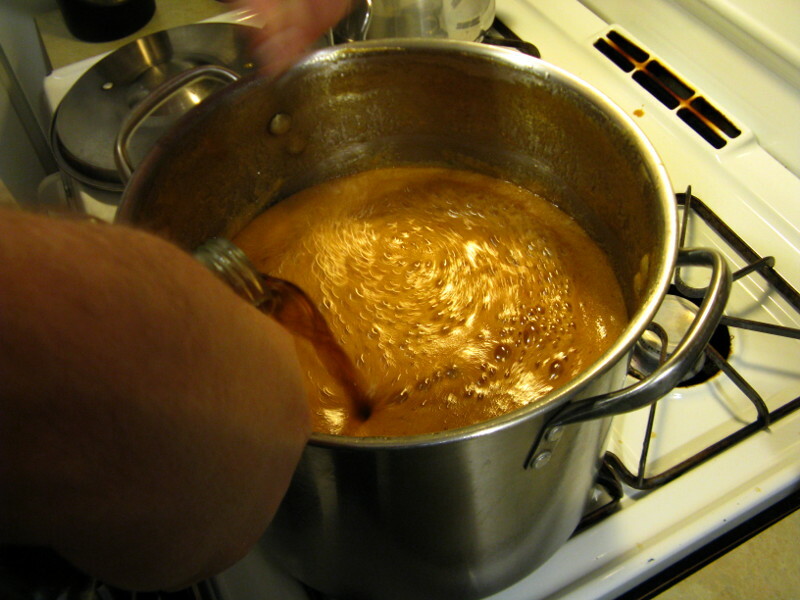 Once the honey hits its boiling point, things start to happen very quickly. This is where it is most important to keep stirring, so as not to scorch the sugars, and the honey expands 3x to fill the pot within a matter of a few seconds. Do NOT leave this unattended! You could have a huge mess on your hands. 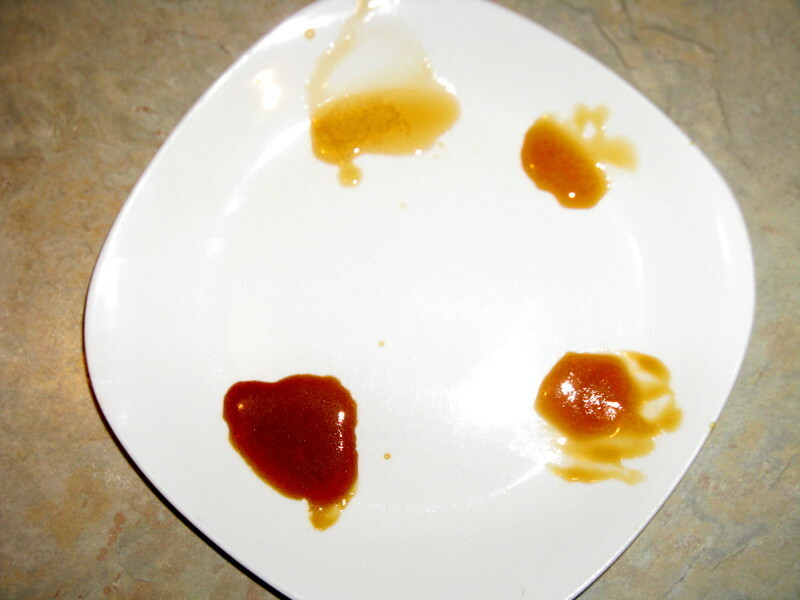 Honey samples taken every 20 minutes, starting with the honey just when it started boiling at the top, then clockwise every 20 minutes, with the bottom left after a full hour of caramelization. 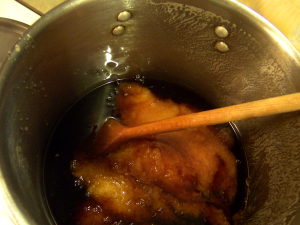 It was interesting to follow the flavor development as the honey caramelized. In some ways, the first sample taken 20 minutes in had the most intense flavor; it seemed to mellow out and get richer as it aged, finally the bottom left, fully caramelized honey was wonderful. Adding my hot tea to the honey that has started to cool a bit. Very important to poor slowly, and keep stirring, to avoid bubbling and splashing. I added 1 gallon of the warm tea (I’m saving the rest to finish off this batch, and to do another batch of plain traditional mead in the next day or two). Then, I VERY SLOWLY added some cool spring water, to get me up to close to 3 gallons. Living in Maine has its advantages when you need to cool off a must. Luna Bochet, at an 18% initial alcohol potential. Needless to say, I’m extremely excited to see how this one comes out in a few months! Hail!